It will be a blue Christmas for certain! The cool color is often associated with the winter season but doesn’t often get to take center stage as it does here. 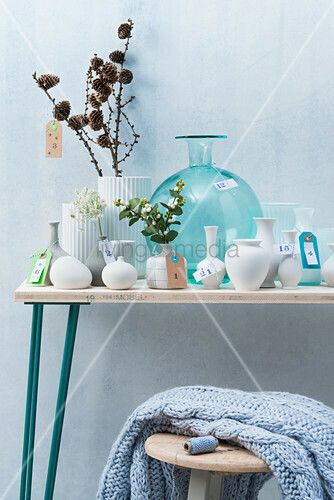 Bright blues create a fun and lively holiday atmosphere.